The Michelin factory in Dundee. 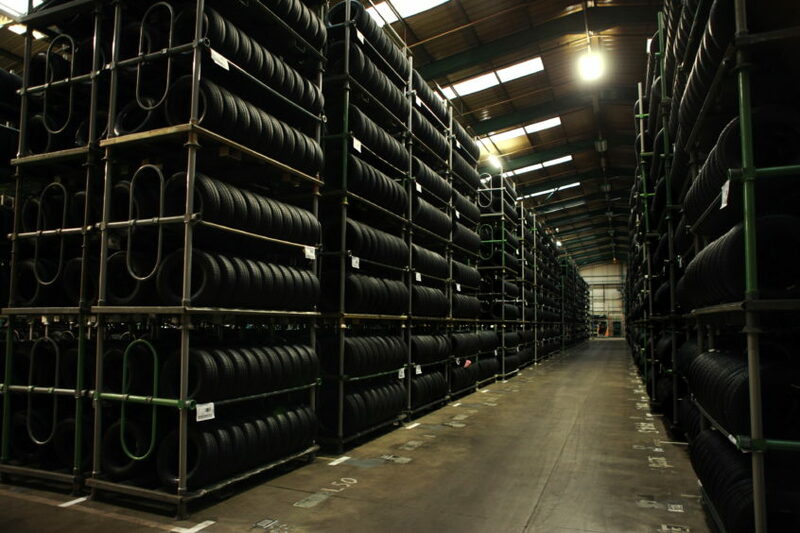 Michelin has tonight confirmed plans to close its tyre factory in Dundee “by mid-2020”. 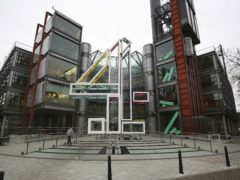 The news, first revealed by The Courier, is a hammer blow for the city, as the company has long been one of the city’s largest private sector employers. 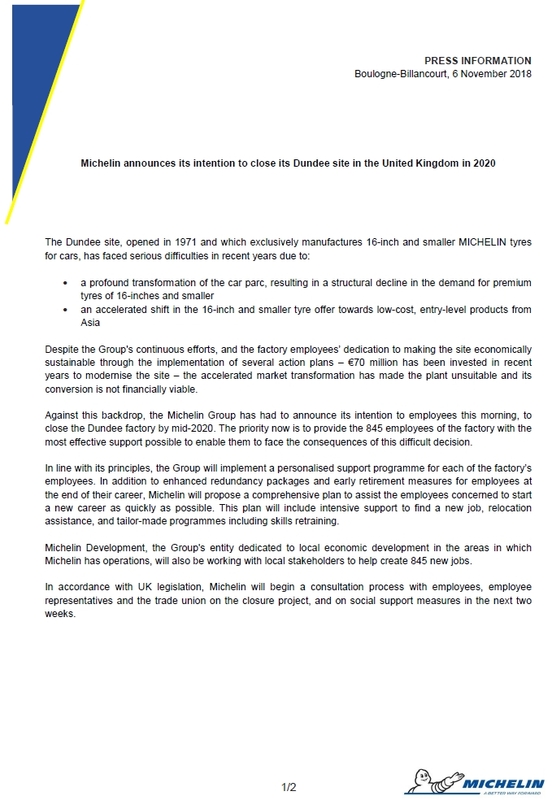 A statement released on the Michelin website on Monday, quickly removed and then reinstated, claims the plant on Baldovie Road is “unsuitable and its conversion is not financially viable”. It adds Michelin “has had to announce its intention to employees to close the Dundee factory by mid 2020”. 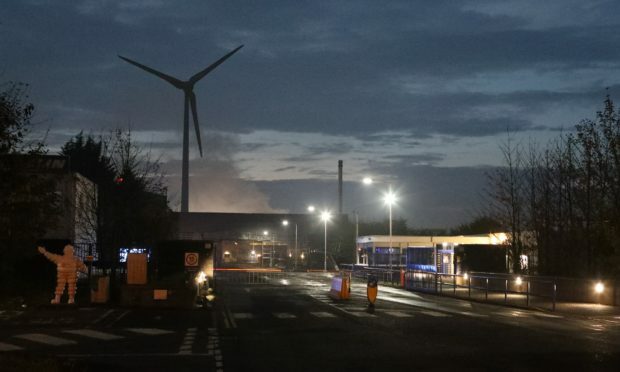 Unions have already described the move as a “betrayal” of the Dundee workforce, with politicians also reacting to the “devastating” news.